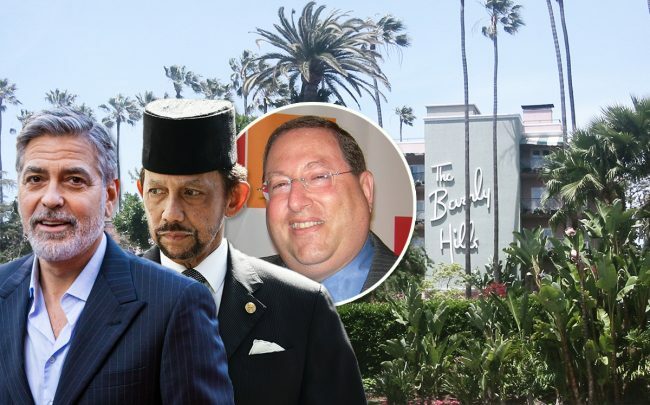 George Clooney’s boycott of two luxury Los Angeles hotels owned by the government of Brunei has picked up more support, this time from the city. L.A. city leaders said Tuesday they would implement formal measures to steer people away from the Beverly Hills Hotel and the Hotel Bel-Air, according to the L.A. Times. City Councilmember Paul Koretz will introduce a resolution to start work on the measures. Clooney called for a boycott of both hotels last week in response to Brunei’s Sultan Hassanal Bolkiah’s implementation of a strict form of Islamic sharia law. The law would allow for death by stoning as a punishment for homosexuality and adultery, the Times reported. The Brunei Investment Agency, part of the Brunei government, owns the hotels, according to the report. Clooney’s boycott could be a significant hit for the two storied hotels, which have been favorites of Hollywood stars and other celebrities for decades. Elton John, Jay Leno, and Ellen DeGeneres are all backing the boycott, which extends to other hotels owned by the monarch in Europe.